This stand-alone solution is designed to meet flexible production requirements and can be used for solvent and water based paints. 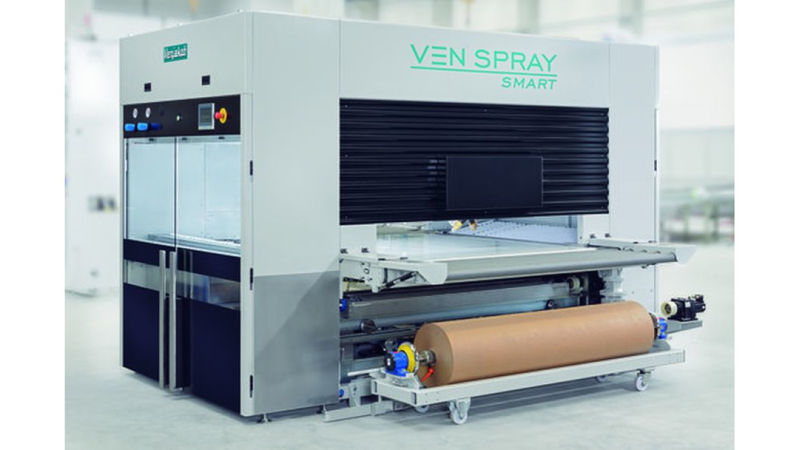 This spray coating machine is both economical and environmentally friendly. It can optionally be equipped with a belt cleaning system and/or a paper transport belt.This makes it possible to alternate between both modes of operation. A quick change between two paint systems (water/solvent based) is simple and fast. This makes it especially attractive for smaller companies to replace manual painting.